Spring had definitely sprung for our April coin auction making the walk to and from our auction room a pleasant stroll rather than the brisk march that was required at our February sale! The auction room itself was packed with keen buyers who had over 470 lots to choose from. 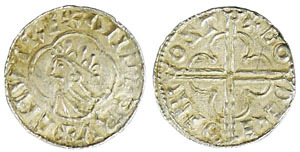 There was an interesting range of earlier hammered coins on offer in the British coins section. 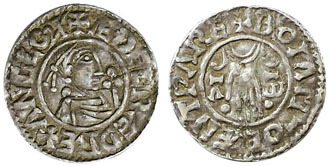 This Aethelred II penny realised £342. And this Cnut penny sold for £306. 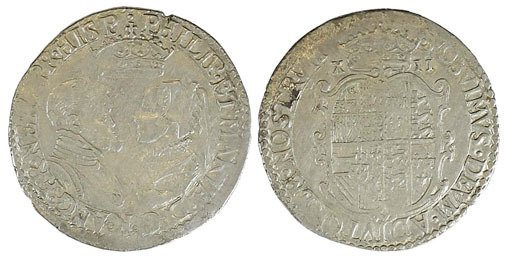 This Philip and Mary shilling, graded as good fine, achieved £619. 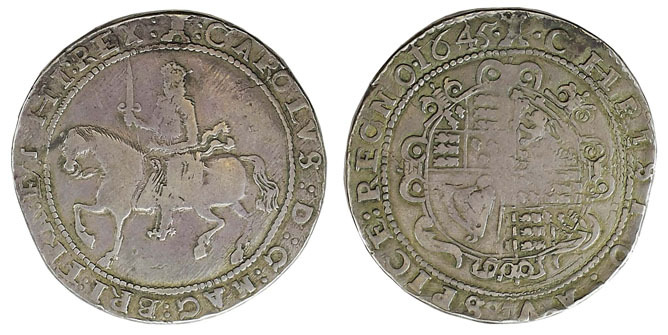 There were a number of crowns in this sale, including this Charles I Tower Mint under King, graded as fine, which sold for an amazing £855. 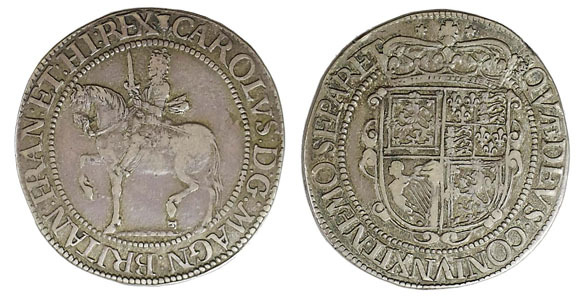 And this Charles I Exeter Mint 1645 crown, graded as about fine, realised £737. 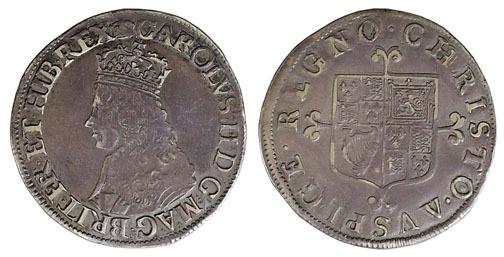 This Charles II hammered first issue shilling sold for a very impressive £619. Guineas and fractional guineas were in good supply with this 1788 spade guinea achieving £472. This 1793 spade guinea, graded as good very fine, sold for £519. And this 1798 spade guinea, graded as about extremely fine, realised £566. 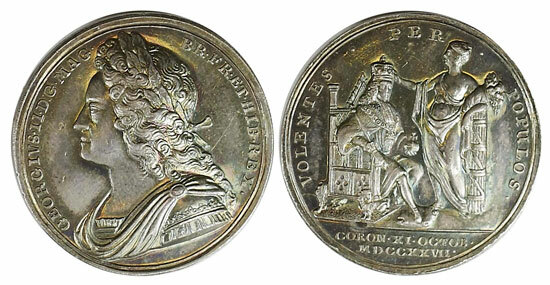 This interesting 1727 commemorative medal by J Croker, made to celebrate the Coronation of George II, sold for £283. 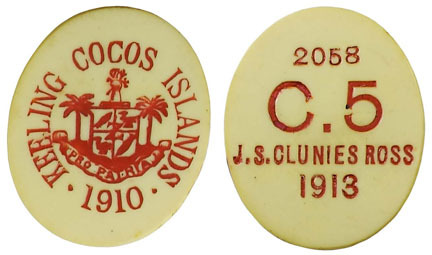 Moving on to the world coins section, there were a range of sought after Keeling and Cocos Islands coins on offer. 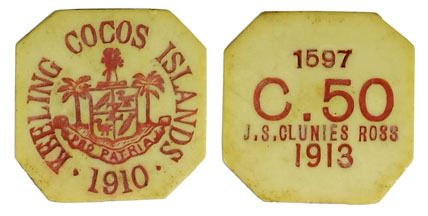 Highlights included this 1913 5 cents which achieved £318. And this 1913 50 cents which sold for £200. 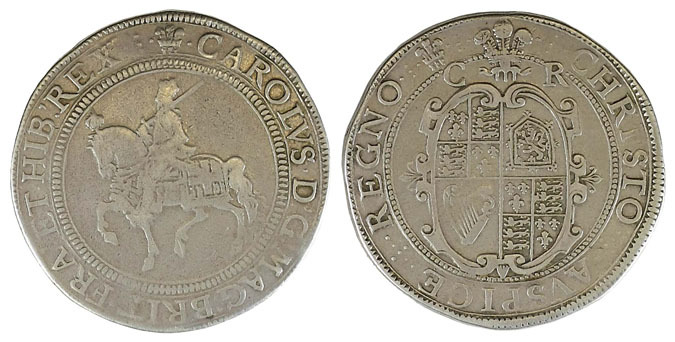 The auction was rounded off nicely with this Scottish Charles I third coinage thirty shillings, which realised £306. Our next coin auction will be held on Wednesday 15th June 2016. Look out for the full catalogue for this sale, which will appear on our website a few weeks before the sale. Also keep an eye on our Twitter and Facebook pages which will include updates of our latest auction news.